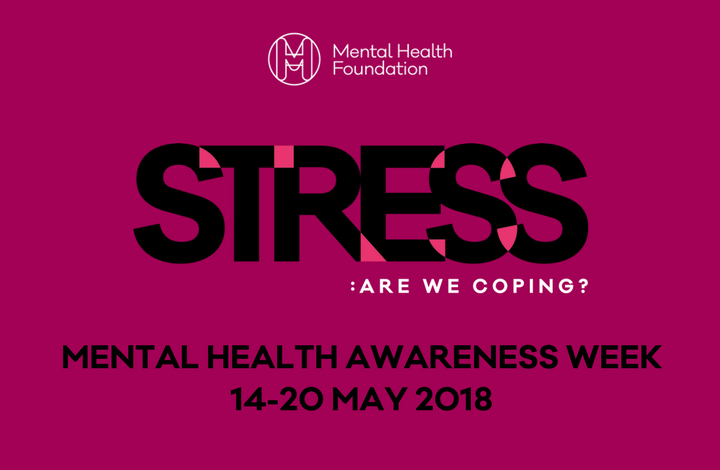 All week, we’ve been talking about stress as part of Mental Health Awareness Week. So, having looked at what stress is, why it can be good for us, and how we personally respond to stress, I guess it’s about time we talk about some ways to manage stress. Talking about our problems constructively helps us get perspective and hopefully support. I say constructively deliberately — just rehashing stressful situations actually activates the stress response. So find someone you trust who can listen to you compassionately and without judgement and who can help you start to take action — like a coach, a good friend, or a therapist. If you need help, the Mental Health Awareness have a great list of resources here. There is growing evidence that food affects our mood and eating healthily can have a positive effect. Fuelling your body well will help it cope with the effects of the stress response. Exercise releases all sorts of feel-good chemicals in the body and helps counteract the effects of stress. Even just going out and getting some fresh air and a short walk can really help. Find a way to move your body that feels good to you: yoga, dancing around your bedroom, walking — it really doesn’t matter what you do, just that you do it. Human beings aren’t meant to operate like machines — at high speeds, continuously, for long periods. We have natural rhythms that influence our energy throughout the day and throughout the year. By having a balance of activities — mental, physical, creative, social and spiritual — as well as time for reflection and rest, we can look after our bodies, our minds, our environments, and our souls, and cultivate the sense of purpose and autonomy we need to thrive. We can’t work well if we don’t also rest well. It might feel counterproductive to take a break or time out to relax when you’re really busy and overwhelmed. But I promise, you will be so much more focused and effective when you come back to work after a break. Being mindful really just means being present and paying attention to our thoughts and feelings in a way that increases our ability to manage difficult situations and make wise choices. You might chose to do that through a meditation practice or it could be as simple as really paying attention when you’re brushing your teeth: how do the suds feel, how does the minty flavour taste, how does the brush feel in your mouth? I wrote a whole post on how to get a goodnight’s sleep recently so I won’t repeat myself; you can pop over here to read it. Needless to say, sleep is critical to feeling good but it’s often disrupted when we’re stressed. Don’t worry if you’re not sleeping well — worrying about sleeping makes sleep more elusive. There are lots of simple things you can do to start sleeping better. We all have bad days. Having a bad day doesn’t make you a bad person. Being kind and compassionate to ourselves is so important — try and treat yourself like you would behave towards a close friend or a child. You would never criticise a toddler for falling over when they’re learning to walk — it’s all part of the learning experience. So if you stumble or feel you have failed, don’t beat yourself up. Ask yourself what you can learn from the experience and move on. In fact, I generally advocate treating ourselves more like toddlers. Parent yourself! You’d never let a toddler stay up all night, work all day without eating properly or having play time, so why do that yourself? These are just some of the building blocks to managing stress. If you need some active help navigating difficult situations and change, then you can book a free 30-minute call with me right now and let me help you. Older PostDo You Know Yourself Under Stress?